Many of us have, at one time or another, been told to develop a “thicker skin.” In colloquial usage, this generally means one should be less sensitive to criticism or other negative words. However, it turns out that in the world of bed bugs a thicker skin is a very real physical trait and one that makes the pests even tougher to eradicate. This is important news. Our San Francisco tenant’s lawyer believes landlords in particular should be paying attention because landlords can and should be held responsible when their failure to take appropriate action leaves residents suffering and prolongs a bed bug infestation in the Bay Area. This week, CNN reported that researchers in Australia found that bedbugs have begun to develop thicker skins that allow them to survive certain bug sprays. 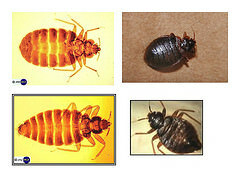 Bed bugs are parasites that feed on human blood and they have made a major resurgence in recent decades. Researchers believe the pests are only growing stronger and more resistant to certain treatments. In the recent study, researchers found that bed bugs that had a thicker natural covering were more likely to survive certain insecticides. The scientists hope that this research helps in the continued effort to “spot a chink in their armour” and develop more effective treatments. The Contra Costa County Bed Bug Task Force has produced a basic fact sheet to help landlords and tenants understand their obligations under the law when it comes to a bed bug infestation. The fact sheet opens with the simple advice that tenants contact their landlords if they suspect a bed bug problem in their rental unit. In an ideal world, this is the beginning of the end and the landlord immediately responds with an effective treatment plan. Sadly, our firm has found this is far too rare. As the fact sheet from Contra Costa County notes, one of a landlord’s most basic obligations is to provide a safe and habitable premises. Tenants do have obligations as well, including keeping the property clean and disposing of rubbish appropriately. In California, it is usually the landlord who must foot the bill for effective pest eradication. There are some exceptions, such as when a tenant refuses to cooperate with the treatment and prolongs the problem. Importantly, the fact sheet explains that landlords cannot retaliate against renters who request help with a bed bug infestation. This means tenants cannot be evicted for reporting bed bugs to the landlord, contacting a government agency to conduct an inspection, or organizing other tenants to band together to enforce their rights. We at the Brod Law Firm hope that landlords pay attention to the developments in bed bug research and use this knowledge to take effective action upon hearing that bed bugs have infested their rental properties. This science should lead to better bed bug eradication and even better prevention. Landlords have a responsibility to act in an effective manner to deal with these troublesome pests and emerging research should help them to just that. Sadly, we have spoken to many renters whose complaints about bed bugs fell on deaf ears. These renters suffered while their landlords did nothing or took ineffective actions (e.g., treated only one unit to save money when neighboring units required treatment in order to effectively eradicate the pests and prevent rapid re-infestation). If this sounds all-too-familiar, call our Northern California bed bug law firm in San Francisco, Santa Rosa, or Oakland. We can help you enforce your legal rights and recover money damages for your suffering. Attorney Brod is also available to speak to tenant groups about bed bug issues and can serve as counsel in California bed bug class actions.